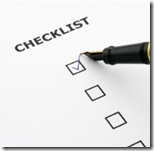 Home » Leader Links » 1st 30 Days New Leader Checklist – Help! 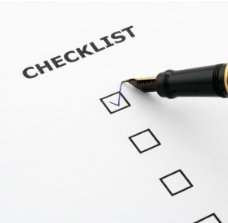 1st 30 Days New Leader Checklist – Help! Spend at least 10 minutes (maybe more?) in uninterrupted prayer about being a YL leader. Go alone to the school when few people are there and walk around praying for kids, teachers, YL leaders, and other Christian ministries on campus. Learn 5 names each of: campaigner kids, club kids, kids who don’t know anything about YL. Read “Back to the Basics of YL”. Plan how to do a club talk that is basically your testimony. Read through the Book of Mark and find at least 10 stories that you could use in club talks. Meet with a trusted friend or mentor and explain why you are interested in being a YL leader, ask them what they think about your decision. I’d like to compile about 30-40 great ideas and then pair it down to 10-20. Leave your ideas in the comments below. Thanks! Visit a kids house, look at the photos on the wall of his room. Draw a diagram of the school and indicate what kind of kid hangs out where during lunch. Do contact work every day for a week, but at a different place and time each day. Ask a friend who might be a potential leader to go on a contact work with you. About 7 years ago, when I was going through leadership training, we were equipped with a lot of theoretical ideas on how to run the ministry. We learned about contact work, earning the right to be heard, the various levels of contact work, etc.. but we weren’t really taught about some of the most helpful aspects of the mission. Now that I am on staff, I tell the volunteers, it is foundational to this ministry to ‘earn the right to be heard.’ But it is foundational to our faith, that we know how to communicate what we believe after we have earned that right! Too many of us earn the right to be heard, and then fumble through what to say after we have earned that right. That being said, we spend half of our training studying the Gospel. I think it is a pretty big deal. Also, it would be fun to walk them through the Ingredients of club, explaining why we do each things with intentionality and then challenge them to plan a club of their own. Well said Ryan! Theory is great but we need to put it in to practice. And when it works (i.e. we “earned” the right) we need to know what to do. IMHO We are strong at earning the right but are weaker on what they need to hear after that 🙂 I would even put myself in that category.